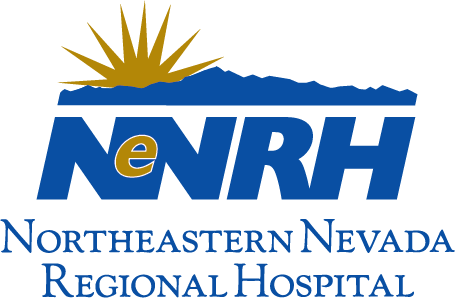 Looking for a general surgeon in northeastern Nevada. This will be a hospital-employed practice with the office located on the hospital campus. Call 1:3. A competitive salary, with bonus incentives, sign-on bonus, relocation assistance and more is available. Practice a full range of general surgery, with lap skills and scopes required. The practice should develop quickly. Also, enjoy the outdoor opportunities of the Ruby Mountains, just 17 miles away. This location is an ideal location to live and work and can accept visa candidates. The Elko County School District has seven elementary schools, four middle schools, two high schools and an Adult Education Program. Great Basin College provides post-secondary educational opportunities. The Western Folklife Center is dedicated to the preservation and presentation of the traditional cultures of the American West, with concerts and performances, exhibits, workshops, adult and youth educational programs, as well as the world renowned National Cowboy Poetry Gathering. Elko is home to a community orchestra, convention center, theatrical group, the annual County Fair, a Classic Car Show and other community celebrations. Elko has eight city parks for many activities including horseshoes, basketball, tennis, soccer, football and baseball, as well as a skateboarding park and a municipal swimming pool. If you love the outdoors, you will love Elko, Nevada. Skiing, snowmobiling, snowshoeing and cross-country skiing are all popular here. Fishermen flock here for our resident coldwater trout — rainbow, brook and cutthroat — as well as northern pike, bullhead, bass, bluegill, perch and sunfish. The scenery here is simply magnificent. Lamoille Canyon offers a closer look at the towering and rugged peaks of the Ruby Mountains. A 13.5-mile paved road carries you around the base of the 11,249-ft. Ruby Dome and up the glacially formed canyon, where hikers can explore more than 100 miles of trails among the alpine lakes, glaciated canyons and rugged peaks of the Ruby Mountains. South Fork State Recreation Area, Nevada’s newest state park, is located 10 miles south of Elko and features a 90-foot high dam holding a 2,900-acre reservoir. It’s a popular place for boating, skiing, fishing and swimming. Humboldt National Forest features eight wilderness areas, spectacular canyons and old mining camps on its two million acres. The 37,632-acre Ruby Lake National Wildlife Refuge is just 65 miles south of Elko. Marshes, open ponds and islands are surrounded by wet meadows and grassy uplands. Limited waterfowl hunting is allowed, and the refuge is open year-round for largemouth bass and trout. With more than 200 species, bird watching here is excellent. But you might also spot mountain lion, bobcat, mule deer, snakes and coyotes.